People convicted of many types of criminal offenses in New Jersey can sometimes petition the court to have the record of that conviction expunged. The ability to expunge a criminal record can be critical to people seeking certain types of jobs, applying for admission to college or professional education programs, or hoping to secure professional licenses. Utilizing this procedure can help reduce the possibility that a conviction will appear during a routine background check. The process is fairly straight-forward. The applicant, through their attorney, files a petition for expungement in the Superior Court of the county where the case was heard and the defendant was sentenced. The court will then assign a hearing date for the petition. The defendant will be required to provide notice of the hearing date to all interested parties in advance of the date, and to provide the court with proof that this notice was given. The court will hold a hearing if a party that received notice objects to the relief sought. If there are no objections and the defendant is otherwise eligible for the requested relief, the court will enter an order directing that the defendant's record be expunged. The entry of an order granting the expungement does not mean that the defendant's record has been "sealed", or that the records of the criminal case were destroyed. It means simply that the records were removed from the court's regular files and stored separately in another facility. If, for example, the representative of a prospective employer contacts the court to see if the applicant has a prior criminal record, they should be told only that the records that the court keeps in the ordinary course of its affairs were checked, and that no records pertaining to the applicant could be located. It is important to remember that the petitioner's criminal records will remain available to certain institutions and agencies even after an expungement is granted. For example, applicants for gun permits cannot hide a prior criminal conviction by means of an expungement. The local and state authorities reviewing the gun permit application will still have access to any expunged criminal records. The New Jersey law firm of James S. Friedman, LLC, handles expungements for clients who have been convicted of a criminal offense, including an indictable offense, a non-indictable offense, a disorderly persons offense, or even a petty disorderly persons offense. Attorney Friedman is fully familiar with the rules and eligibility requirements for this relief, and frequently works with clients seeking the benefits of this procedure. Those convicted of crimes in New Jersey are eligible for an expungement after a certain amount of time has elapsed. This time period can be as long as five years and, generally speaking, starts to run from the date of conviction or completion of sentence. 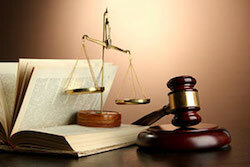 Further, certain crimes may not be eligible for expungement. In light of the foregoing, it is important to understand the rules governing this procedure before a petition is even filed. Defendants should not file for expungements until and unless they are sure that they satisfy all eligibility requirements. The eligibility requirements for an expungement can vary depending on the nature of the offense and the court that heard the case. It is important to seek legal advice from an experienced criminal defense attorney who thoroughly understands this procedure. The law has a number of exceptions and qualifications not detailed here. Mr. Friedman will advise you about your chance of success, and prepare and file the petition and other required paperwork. To discuss expunging your New Jersey arrest or conviction record, contact Mr. Friedman online or call 800-361-6554 (toll free) to schedule a consultation.